Coastwatch is a project with a strong component of environmental education. It promotes active citizenship in school communities and allows significant coastal monitoring, including marine litter monitoring. In some cases, beach cleanups are associated to the Coastwatch monitoring programme. Coastwatch began in 1987 in Dublin. In Portugal, 23 annual campaigns have been performed. They are organised by environmental NGO GEOTA and have regional coordinators ranging from schools (4), local authorities (22), administration of protected areas (6), NGOs and others (30). The Coastwatch Campaign is organised in four phases: (1) Preparation and dissemination of the campaign; (2) Monitoring and training of teachers, students and other participants; (3) Organisation of data, regional reports and statistical analysis; and (4) Preparation and presentation of final report and campaign results. According to data from the last edition (monitoring period from November 16, 2011 to March 21, 2012), 324 teachers and 3524 students from a total of 4764 participants of all ages and from different sectors were involved. 742.5 kilometres of shoreline were monitored. The information presented in this document relates to the Coastwatch campaigns in Portugal. Coastwatch is a European Campaign. In Portugal, it began at 1989. The Coastwatch Project is under a protocol between the Ministry of Education, the Ministry of Agriculture, Sea, Environment and Spatial Plan and NGO GEOTA (signed on 1996), which provides a full-time teacher, paid by Ministry of Education, to coordinate and streamline the project. It also benefits the financial support of Portuguese Institute of Sport and Youth.Several municipalities ensure the transport of students and teachers to the monitoring sites.In the last campaign (2011-2012) the Coastwatch Campaign received financial support and publicity by “7Maravilhas - Praias de Portugal” (Seven Wonders – Portuguese Beaches), a national contest where people elected the seven best beaches of the country.A television show in RTP1 channel dedicated an episode to Coastwatch where a prize of 4950€ was attributed to the campaign. The Portuguese coast is where human influence is felt with greater intensity and Man/Environment cooperation has not been peaceful. Degradation of some areas has been registered which leads to social and environmental impacts. The state of pollution and degradation of the Portuguese coast has raised social awareness. A growing number of citizens care about this fragile ecosystem and are starting to take action. In this context arises Coastwatch Portugal, implemented 23 years ago, that aims to raise awareness and educate all citizens, from 8 to 80 years old, showing the need to take care of the coastline. Coastwatch Portugal is a resource in the service of environmental education. Through active community involvement, it raises interest in environmental activities and conservation of biodiversity of the coastline. As an Environmental Education project, Coastwatch Portugal adds a strong contribution to the practice of active citizenship. Its actions have been used (over time and by different entities) to put into practice the principles of environmental citizenship and methods of participation. Thereby Coastwatch Portugal promotes transparency, rationality and quality of decisions made by management. High population density in the coastline has led to a great urban pressure that has caused irreparable damage to the landscape. Most industries are located at the coast which has led to air pollution and water pollution due to the lack of effluents treatment. The urban sprawl (often chaotic) coupled with poor wastewater management and waste management has also contributed to water pollution. Degradation of some areas has been registered which leads to social and environmental impacts. Large items of litter were registered in 72% of the total units monitored. Household waste in bags or piled (24%) and construction and demolition debris (22%) remain stubbornly in our coast, particularly in estuary areas. Objects from wrecks are also marked frequently by participants. The amount of debris found has achieved extremely high values throughout the campaign, regardless the type of litter. Plastic continues to predominate along the coast. Plastic packaging, plastic bags and swab sticks are marked in all units. Glass (beverage containers) also appears with very high values. Throughout the years a growing number of participants has been observed. In the last year the total area monitored has increased; 742.5 km of a total of 1853 km of coast (total of kilometres of NUT III – Statistical Territorial Units for Portugal) have been monitored, corresponding to 40% of the Portuguese coast. Coastwatch Portugal opens a range of opportunities that should be seized, such as the growing involvement of the municipalities, the extension of the project to the university level (the increasing interest to analyse the campaign data has worked as catalyst for partnerships with universities), replication of methodologies, the extension to other intervention areas in the society and the promotion of the network with other environmental NGOs. The great involvement of students and teachers reveals the importance of the project in the school community. The range of classes involved is very comprehensive; however the classes of Natural Sciences, Biology, Geology and Geography are the most common. Participation in the project has undergone few changes over the years. However, in the last two years, there was a higher number of participants and as a result there was an increase of about 10% to the monitored area. Coastwatch Portugal has potential at different levels. For instance, data, despite some margin of error, are reliable, objective, practical, comparable, relevant and upgradeable. Although there are some transects where monitoring was never performed, the available information is upgraded, which makes it very useful. Data requests for studies and other works are frequent, especially for themes of erosion and pollution. It is also worth mentioning that the project allows the building of habits of volunteerism and partnerships with different entities. One of the weaknesses of the project, that has not been solved yet, is that the cartography maps are not fully updated. It is a priority to promote contact with the Portuguese Army to solve this problem, which is more relevant on the south region of Portugal and the islands. Other difficulties felt include the analysis of a large amount of data and the lack of an online platform that enables participants to directly introduce the data collected during the campaign. As strengths of the project we may consider networking, promotion and development of fieldwork which may become a motivating factor to some classes; flexibility of the campaign schedule in order to enhance the participation of schools and promotion of partnerships with several institutions (GEOTA and schools). However, the education system’s reforms, the decrease of teacher’s time dedicated to projects in schools, the increase of the number of students per class and the financial difficulties felt in the school community are factors that may affect the project. The Coastwatch Project is under a protocol between the Ministry of Education, the Ministry of Agriculture, Sea, Environment and Spatial Plan and NGO GEOTA (signed on 1996), which provides a full-time teacher, paid by the Ministry of Education, to coordinate and streamline the project. It also benefits the financial support of Portuguese Institute of Sport and Youth. Several municipalities ensure the transport of students and teachers to the monitoring sites. In the last campaign (2011-2012) the Coastwatch Campaign received financial support and publicity by “7Maravilhas - Praias de Portugal” (Seven Wonders – Portuguese Beaches), a national contest where people elected the seven best beaches of the country. Cost of initiative (2011-2012 Campaign): 5800€ (official data about the last campaign). Major components: Structure (1200€), preparation (2620€) and logistics (1980€). The longevity of Coastwatch Portugal is a proof of its sustainability. Networking and support of the Ministry of Education, Ministry of Agriculture, Sea, Environment and Spatial Plan and Portuguese Institute of Sport and Youth contribute to its sustainability. However throughout each campaign, funding from other entities has helped fill some gaps. The teacher training provided in partnership with the Association of Biologists has allowed the financing of the National Seminar. Volunteering has played a key role in the sustainability and maintenance of the project over these 23 years. Coastwatch is a European project that involves 23 countries, some more active than others. 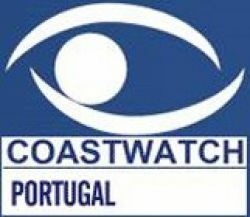 Coastwatch developed significantly in Portugal and this country is responsible for its dissemination and implementation in other countries such as Brazil, Cape Verde and Angola.